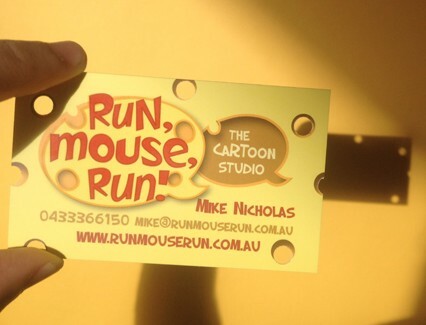 Run Mouse Run’s cards are hole-ier than thou! 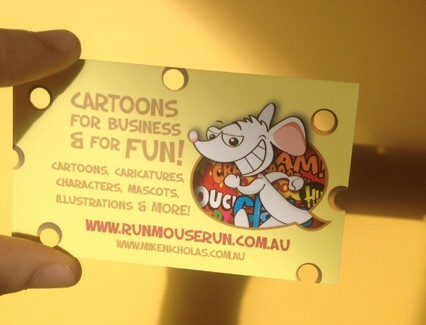 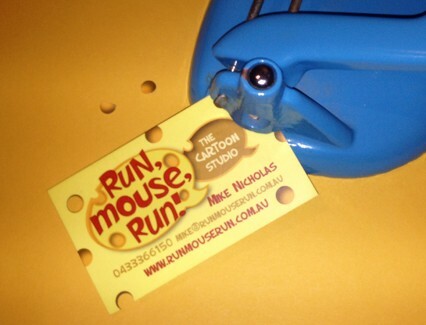 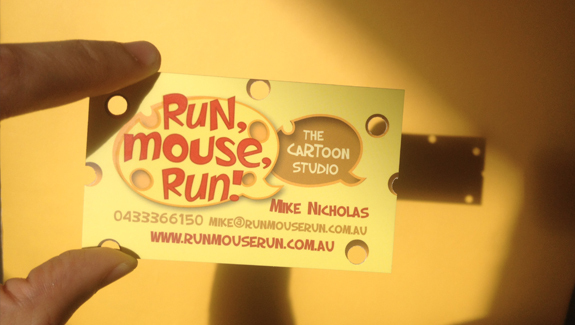 Let it be revealed that the holes in Run Mouse Run’s business cards, are achieved through a lesser expensive investment of a hole punch, which helps create the cheese-like business card that is not so cheesy! 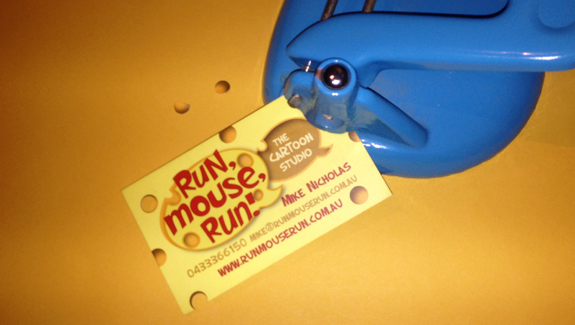 Punched out individually (usually in front of the TV), it is not unusual to find little circles in the carpet of Mike the Mouse’s apartment! 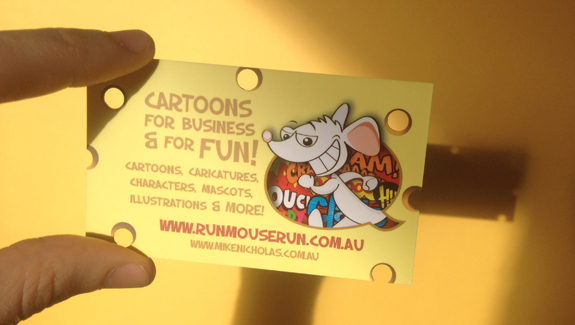 If you would like your calling card to have the creative spin that a lasting first impression needs, contact Mike the Mouse in the online form below!